As many CZ fans know, the P-07 was one of the first handguns with the convertible Omega trigger system—a simplification of the CZ 75’s “hammer ignition method.” This pistol is compact, and customizable for every shooter. It comes with a swappable magazine release and interchangeable backstraps. The CZ P-07 received a revamp in 2014 for a hardier pistol for better concealability. 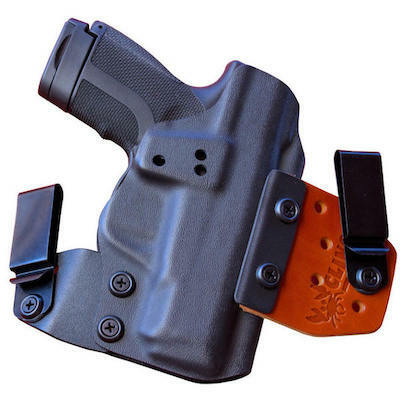 Browse our CZ P-07 concealed carry holsters above. The CZ P-07 comes with three interchangeable backstraps to fit whatever size mitts you might have. It also comes with the Omega trigger system, which is interlocking allowing for full disassembly and reassembly. The trigger system has a wonderful interchangeable ambidextrous decocker/safety system for the shooter that either wants to carry cocked and locked or decocked for a 4 lbs trigger pull, double-action first shot. 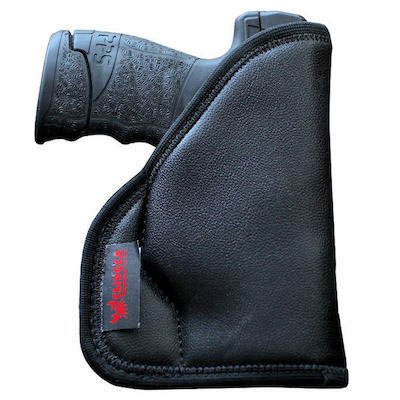 It has stippled grips for a secure and controlled hold. The P-07 also has fixed three-dot sights on a steel slide. 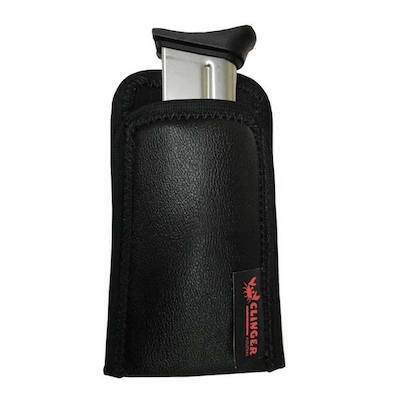 The frame is made of black polymer and the barrel is cold hammer forged steel. The CZ P-07 is compact for easy all-day carry at a light 27.7 ounces. 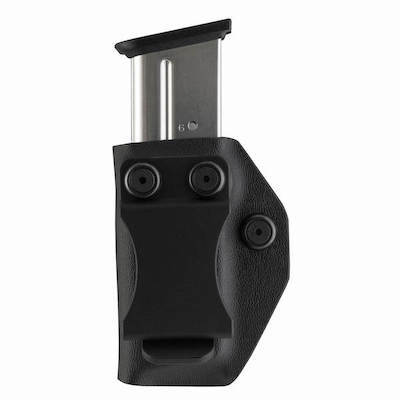 It also comes with a swappable magazine release and two 15-round capacity magazines. In 2014, the CZ P-07 was revamped. CZ took the sharper edges off the pistol and added the aforementioned interchangeable backstraps. They added forward cocking serrations, metal sights, a new trigger and hammer design. 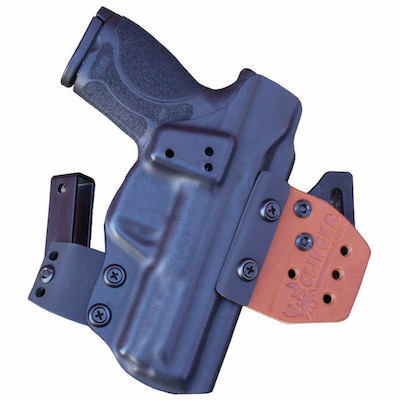 This makes for a more comfortable carry and a pistol that remains adaptable to a diverse amount of shooters. 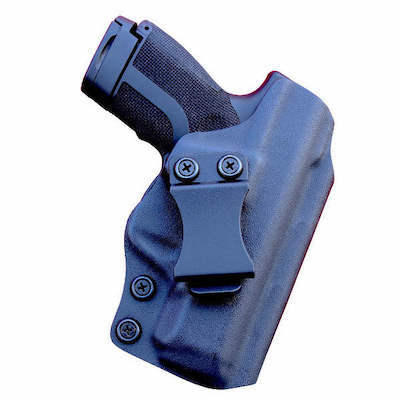 This also made the P-07 more concealable in our CZ P-07 Kydex holsters due to the rounder edges. Now, if you order from some CZ-USA dealers, you might get a special version of the P-07 which varies from the standard configuration. 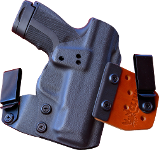 Some might come with a different accessory package, an extended barrel, a version with or without a lanyard loop.